Grade 3 Lotus girls with Nonnadie School teacher and Helen. 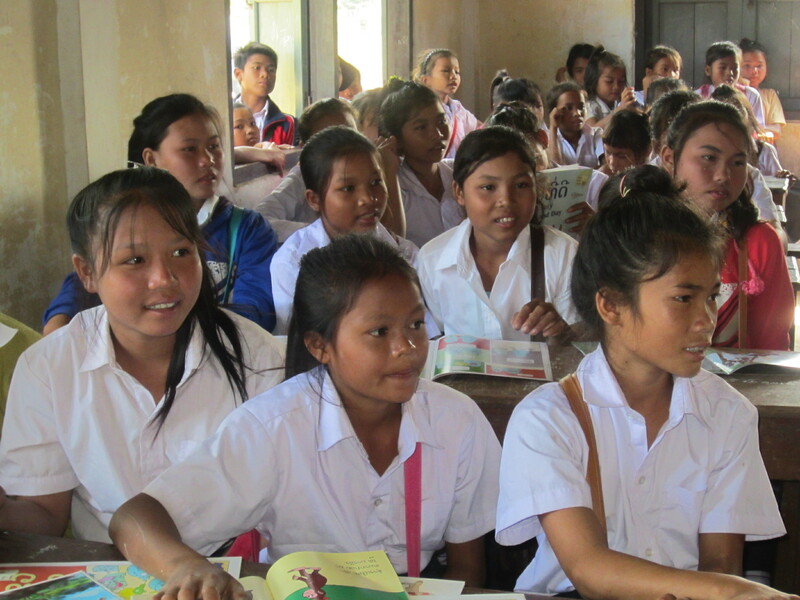 irls and their parents are especially keen for Lotus to provide financial support for the girls to attend high school. 1) The development of a strong “in country” partnership between the Lotus committee and the Lao community members. 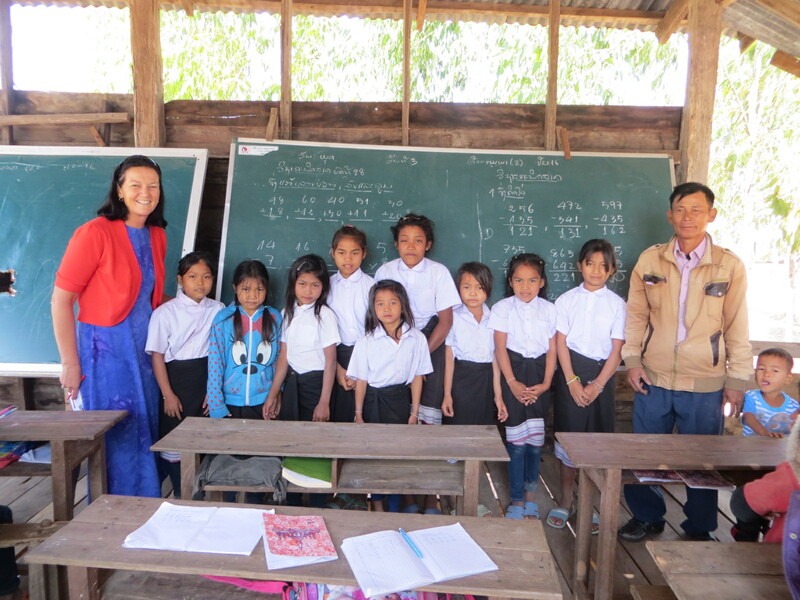 Each girl’s school attendance is checked in the school register on a weekly basis by Dr Phoudalay (a local agronomist who has a formal role in assisting farmers to develop improved farming techniques and a personal commitment to assisting girls in education). 2) A respectful partnership with the teachers in the 5 local schools in the area known as kms 35 and the 84 parents of the girls attending these schools. 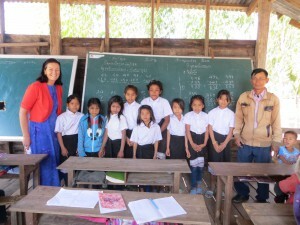 Each year representatives of the Lotus Fund visit Laos and hold discussions regarding the welfare of the girls and the success or otherwise of their schooling. The input of the Village Elders is valued and ultimately their support is vital to the success of our project. In consultation with all parties agreements are achieved as to the expectations of regular school attendance and financial support and the parents are asked to formalise this agreement in writing. (Where the parents cannot sign, the girls are asked to sign on their behalf). 3) Appropriate “marketing” of the education to all those involved in the community i.e. not a gate way to riches or to “get away from the hard agricultural life”, to gain access to status. 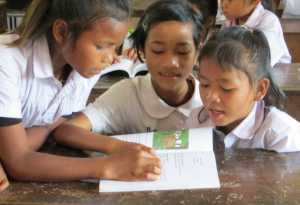 Education is promoted and viewed an avenue for girls in low socio-economic areas to access better life choices which they can in turn return to their life in the village. 4) Promotion of community engagement with the Lotus Educational Fund through involvement of community leaders, local teachers and education staff.